Next week's Magic Millions March Yearling sale will be a special one for Chris and Cathy Munce, as they prepare to offer a yearling filly of their very own out of their former race mare WINNING FASHIONS. 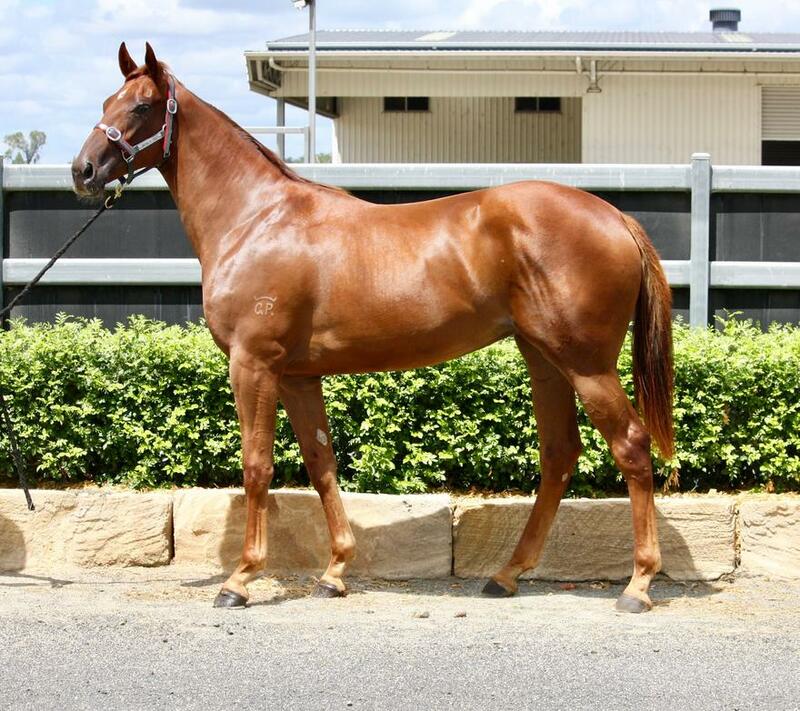 The athletic chestnut filly (pictured) is by exciting first season sire RICH ENUFF and is being offered on account of Oakwood Farm as Lot 148 on day 1 of the Gold Coast sale on Monday, March 18. “It’s exciting to be approaching the sale as vendors as well as buyers,” said Cathy. “Rich Enuff is a lovely sire and we were lucky enough to get her in when he was standing in Queensland. "The Rich Enuff’s are selling well and they are on people’s radars. He was by Written Tycoon himself and probably didn’t reach his potential on the racetrack due to injury. "A lot of the yearlings we’ve seen, they’ve got a distinct head and so does our filly. Winning Fashions was quite a big mare and this filly is a decent size too." Chris and Cathy have been a part of WINNING FASHIONS’ various roles throughout her career - firstly as a race mare, then as a showing and eventing horse before her new career as a broodmare. "I always loved her and thought she was beautiful,” said Cathy of the mare she affectively calls ‘Ellie’. "After we had to retire her from racing, the owners knew I always wanted her so they gave her to me and we did almost two years of showing with her. 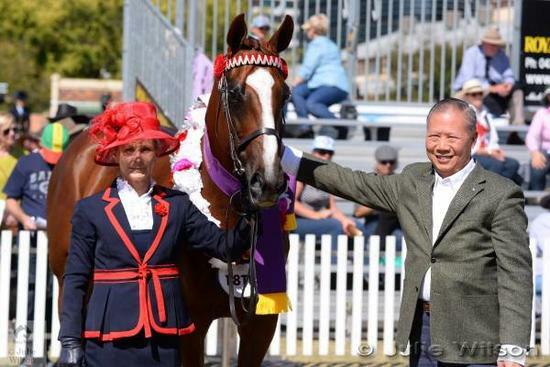 “She won the Champion Racehorse In Training at the Brisbane Royal Show in 2015 (pictured). Naturally the Munce Racing team will also be approaching the upcoming Magic Millions sale as buyers, having conducted yearling inspections at many leading stud farms in the lead-up to the sale. The sale has been a successful one for Munce Racing in the past with some of their stable’s recent stars such as BOOMSARA, SKATE TO PARIS, OURS TO KEEP and WICKED INTENT all being purchased from this sale. BOOMSARA, a $45,000 purchase, has won over $1.5 million in prizemoney from 10 starts to date while $10,000 purchase SKATE TO PARIS has won over $275,000 from 19 starts. “They were all purchased from the March sale as it’s great value for money and they have all gone on to race on Magic Millions day as well,” said Cathy. Keep an eye on the stable’s HORSES AVAILABLE page for more information on horses purchased from the sale.